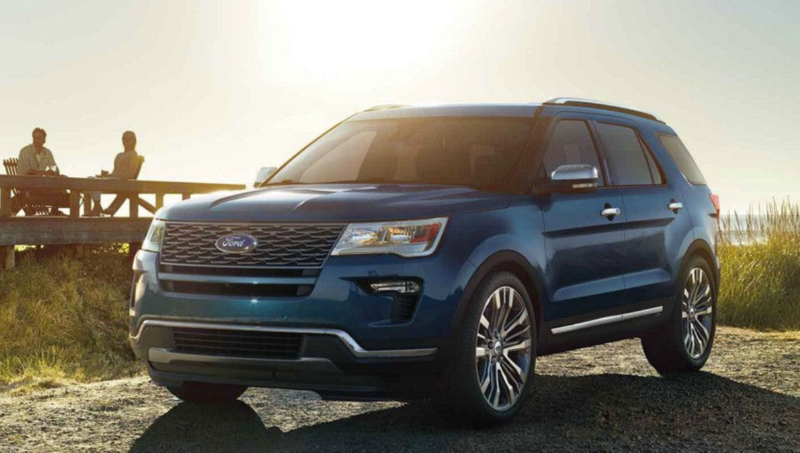 The 2018 Ford Explorer is one of America’s best-selling vehicles. This full-size three-row SUV is slotted above the compact Ford Escape and midsize two-row Ford Edge, alongside the slow-selling Flex, and below the massive truck-based full-size Expedition within Ford’s SUV lineup. Prices start at an MSRP of $31,990. Coolest Feature: Quad exhaust tips look great and add class to the back of the Explorer.